Whether you’re an established kicker or punter looking to improve your performance or a soccer player with a big boot, now you can learn what it takes to be a top-performing specialist at the high school and college level. Excelling as a kicker or punter comes from more than just knowing how to kick. We provide a 3-Step Process that strengthens the athlete Fundamentally, Physically, and Psychologically. 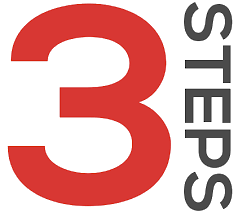 Our 3-Step Process works – our testimonials prove it! We also offer group training sessions for a little added competition. Not in the Chicagoland area? No problem. A Video Analysis is a great alternative for getting valuable feedback on your kicking technique. Specialists shouldn’t be doing the same workouts as the rest of the football team. Now you can get a CUSTOM workout program to improve your performance. Even the best kickers and punters can fail without a strong, stable mind. Learn how to handle the unique challenges you face as a specialist. © 2019 3-Step Kicking, Inc. All Rights Reserved.